First off the I'll talk about the benefits of doing this swap. - Expandability can step up to C5, C6, Cts V, etc. 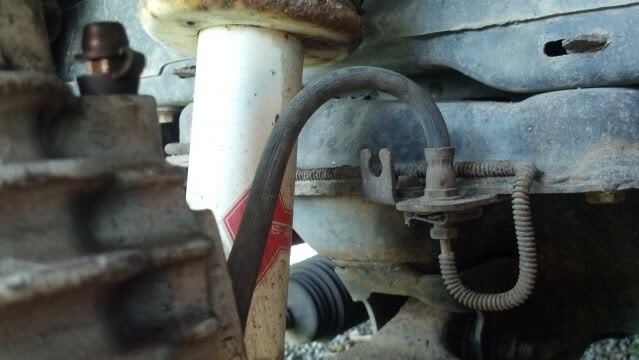 - Either stainless steel hoses or 93 to 97 hoses with a bit of work on the bracket. It's much easier with a lift, but can be done on the ground. Really it isn't bad of a job to do, depending on how easy the old parts come off. 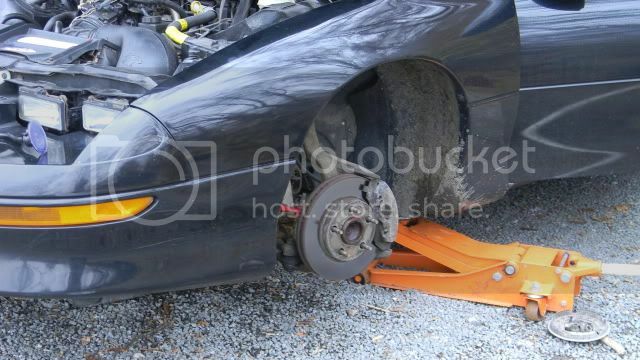 If your gonna do it on the ground get the car up on stands and take the wheels off. Sadly all of my pictures are after it was done. 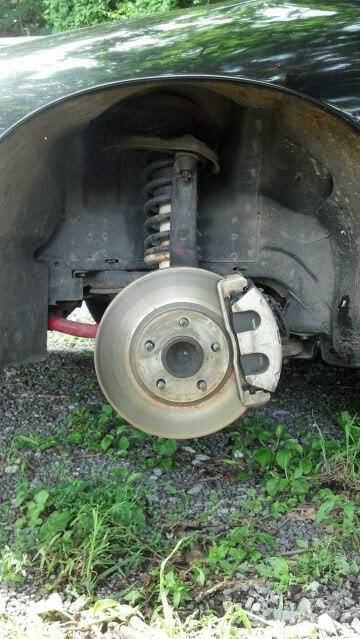 Start by taking the calipers and support them, and then take the rotors off and toss them aside. Next up is unhooking the ABS plug. 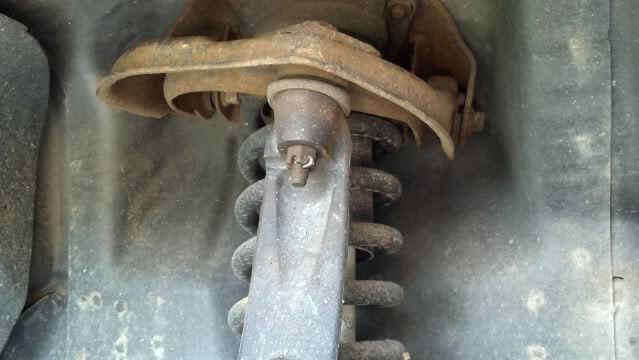 Take the pins out of the bolts on the tie rod, upper, and lower ball joints, and remove the castle nuts. Now is the fun part as the knuckle may not want to come out without a fight. 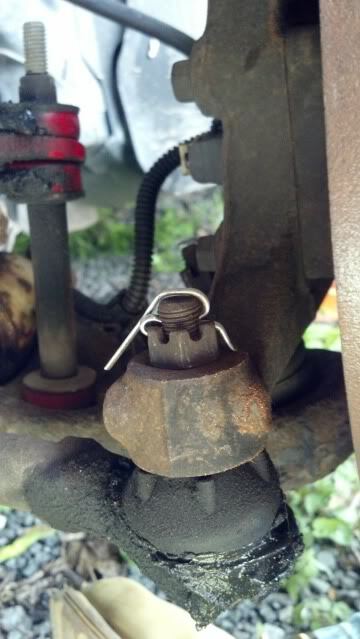 With that out of the way you can take off the caliper, but be careful with the brake fluid. 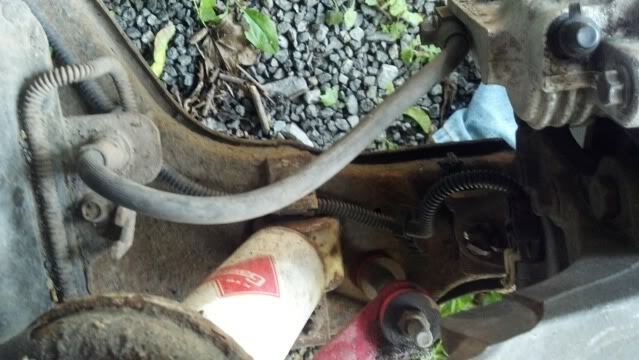 Now you can either bent the tab out which I don't really recommend or install the new hoses and the caliper after that. Again support the caliper. That is with the factory 93 to 97 hoses. The 98+ hoses will not work. Now put the 98+ knuckle on and put it back together with the pins. 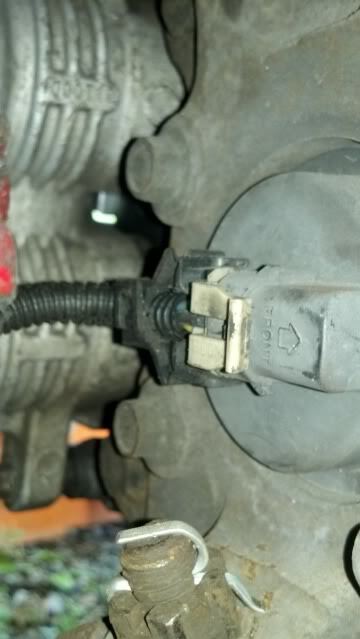 Don't forget to hook back up the ABS plug. 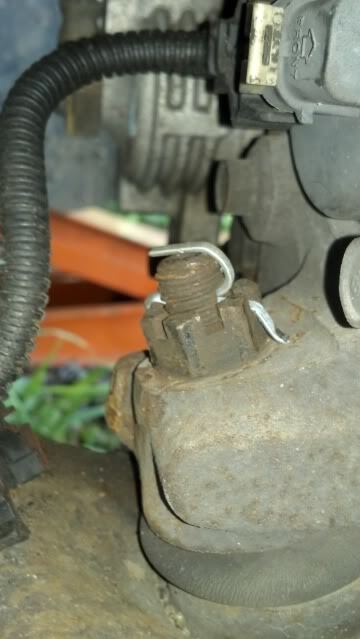 After that its just like a normal brake job, slap the rotor on, bolt the caliper bracket on, then the caliper, and bleed the brakes. 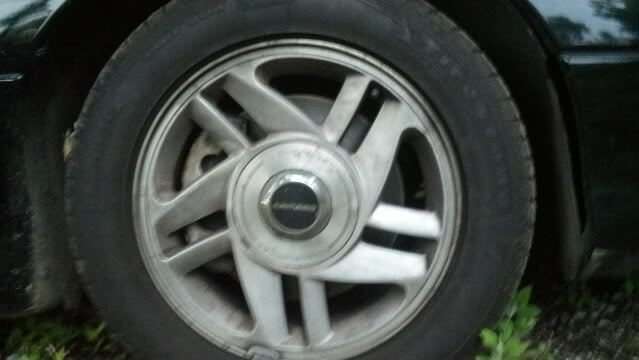 Slap the wheels back on, put it back on the ground, and enjoy the much better braking that you have. Looks better than the tiny little things that used to be there. All in all very worth it to me. Also its not a very expensive upgrade. I paid about $100 all together, but I got some very good deals. Look to spend about $250 or so. Last edited by xpbr2000; 10-27-2017 at 12:53 AM. I'll be adding the pictures later when I get my Camera. Awesome! definitely one of my future mods. I found this whole set up for 100 bucks, guess I should jump on it huh? guess Ill call the guy friday. I also have a set of LS brakes that I might be willing to part with.... i ended up with a k-member that is complete from side to side. Alright time for an update. C5 hoses didn't work, at least the ones I bought. I ended up sticking with my orginal ones, but moved the bracket out about 1.5" that gave the hoses plenty of slack, so problem solved.